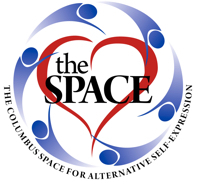 Columbus Space for Alternative Self Expression - The Space Work Weekend!! But there are some last touches that need to be wrapped up prior to the Big Day! What more could need to be done? Well... After the final buildout, we still have to clean and paint and wash and move stuff and make small repairs and put up curtains and more! So, for all the people who wanted to be part of the process, who wanted to volunteer, who wanted to offer a moment of time, or their skills... this is the day! The "official" time frame is Saturday, June 4 - from 10am to 6pm... so you can stop by and help for an hour, two or all of it. Plus, the Space Team will probably be there til late, so if you really are having fun, or want to stay for longer, that's up to you! And... since you are willing to come and help and be part of one of the run up to the Grand Opening, we are providing water, pop, and some lunch! If you are coming? Let us know by RSVPing Here and/or if you have any special applicable skills... you can also respond to the Space with a fetmail!